Dr Titus Nemeth is a type designer and typographer with expertise in Arabic script culture. His internationally recognised practice spans commercial and cultural work, and his interests and activities extend to academic research and teaching in higher education. His original type designs have won multiple renowned awards and are widely used for complex cross-cultural visual communications. 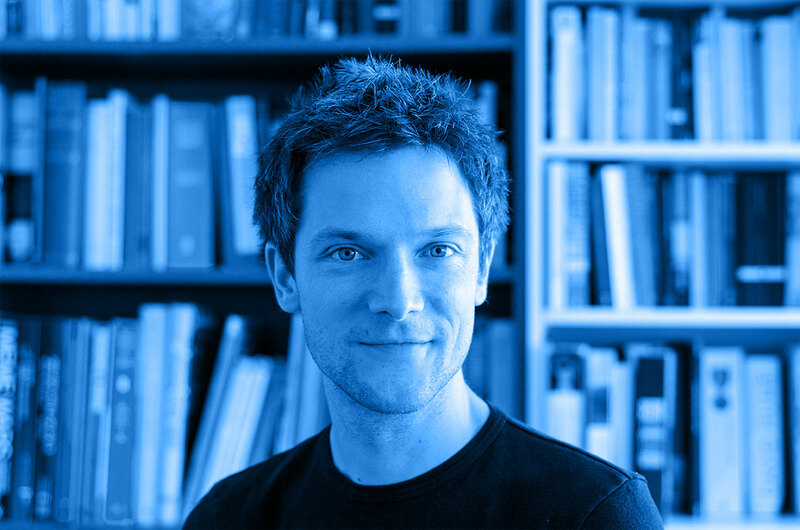 Titus holds a PhD in Typography & Graphic Communication from the University of Reading, UK, an MA in Typeface Design from the same institution, and a diploma in Graphic Design from Die Graphische in Vienna, Austria. He has taught type design and typography at schools in Austria, France, Morocco, Qatar and the UK. Since 2015 Titus is a member to the invited TDC non-Latin advisory board. Since 2018 he serves as the ATypI country delegate for Austria. He is a member of the ATypI, the TDC New York, the typographische gesellschaft austria and Design Austria. My work is about content. Type and typography are vehicles for content, which makes my work by definition highly multidisciplinary. Indeed, for me its interest derives from the continued crossing-over into other domains, whether they are history, technology, fine arts, crafts, linguistics or teaching. This stance is reflected in my work, as I engage with all related aspects of my trade. In my view, expertise arises from the interplay and cross-fertilisation of these various elements. When I make and use type, general cultural, narrowly technical and specialised artistic skills all come together in an integrated approach to typographic design. Nassim typeface selected among the Best typefaces of 2011 by typographica.org. Nassim typeface selected by the jury of the Letter.2 competition of the ATypI, 2011. “Arabic Hot Metal: The origins of the mechanisation of Arabic typography”, Philological Encounters no.3 (2018), special issue edited by Thomas Mullaney. Arabic Type-Making in the Machine Age: The influence of Technology on the Form of Arabic Type 1908–1993, Islamic Manuscripts and Books 14. Leiden · Boston: Brill, 2017. “Harmonised type design revisited”, in Dyson, M. C. & Suen, C. Y. (eds. ), Digital Fonts and Reading, Series on Computer Processing of Languages, Singapore: World Scientific Publishing, 2015. September 2018 “Making some sans”, presentation at the ATypI conference, Antwerp. September 2016 “There is nothing Arabic about the Arabic script”, presentation at the ATypI conference, Warsaw. March 2016 Opening lecture for talks series on Multiscript Typography, Institut Visuelle Kommunikation, Hochschule für ­Gestaltung und Kunst, Basel. July 2015 “Harmonised Type Design revisited”, presentation at the third Granshan conference, Reading, UK. Watch a recording of the talk here. This website was designed and coded by Elena Ramirez (with some input from my side). The typefaces used are my Carignan and Nassim. This site is hosted on servers in Bielefeld, Germany, by Greensta, a Greenpeace-accredited provider of sustainable web hosting which runs on 100% renewable energy.